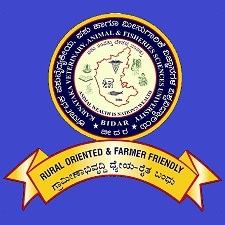 Karnataka Veterinary, Animal and Fisheries Sciences University is a public university. It was established by an Act of Karnataka Legislative Assembly which was passed on 10 February 2004. This university has its headquarters in the Bidar district of Karnataka state of India. Applicants who have completed 7th/ SSLC/ 10th Pass/ Bachelor degree / Masters degree in Agriculture/ Horticultural/ Agril. Engineering or equivalent from a recognized Institute for KVAFSU Recruitment 2018. Eligible & Interested candidates can Download Notification From Official website page at www.kvafsu.gov.in Recruitment 2018.